A Raven for each arm! Balancing the inner biceps with two black work Nordic forearm tattoos we did a couple of years ago. 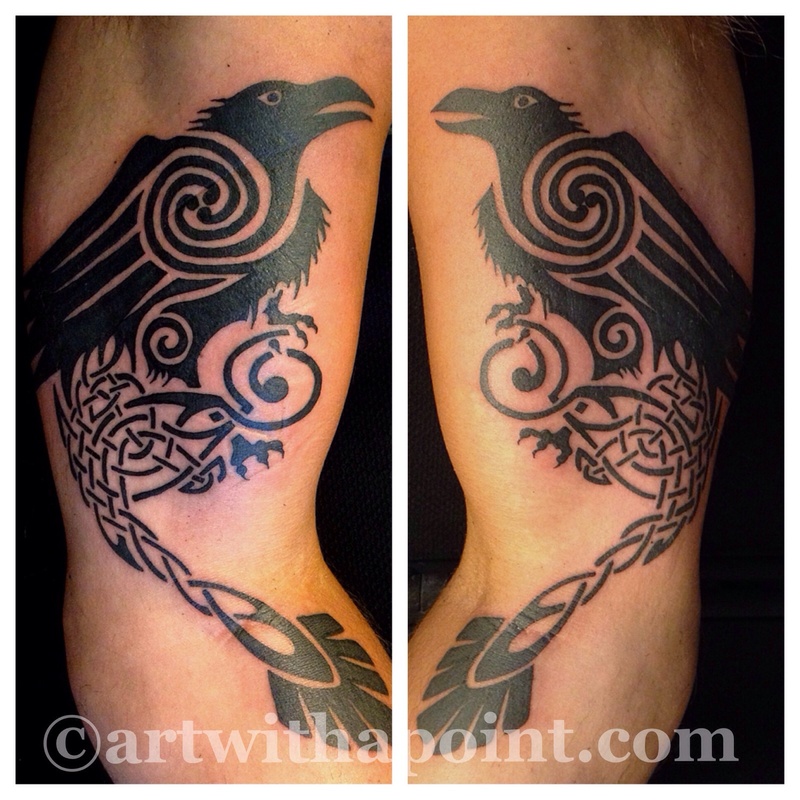 One day long sitting, and he went home with two awesome Ravens!